Whether you’re raising a family, starting a business or building a home — you’ll want to get to know Newton. The community has many great amenities aside from excellent schools. Unique entertainment, beautiful art displays and parks, and great attractions for families to enjoy. Established in 1846 and incorporated as a city in 1857, Newton is the county seat of Jasper County and the largest city in the county. Newton Community School District offers K – 12 schools that are full of academic, athletic, and artistic opportunities. Our mission: The Newton Community School District empowers every learner to achieve a lifetime of personal success. As a district, we are a collaborative and cohesive team that inspires and supports all learners in a culture of safety and acceptance. Different students have different needs and their school experience reflects that individuality. 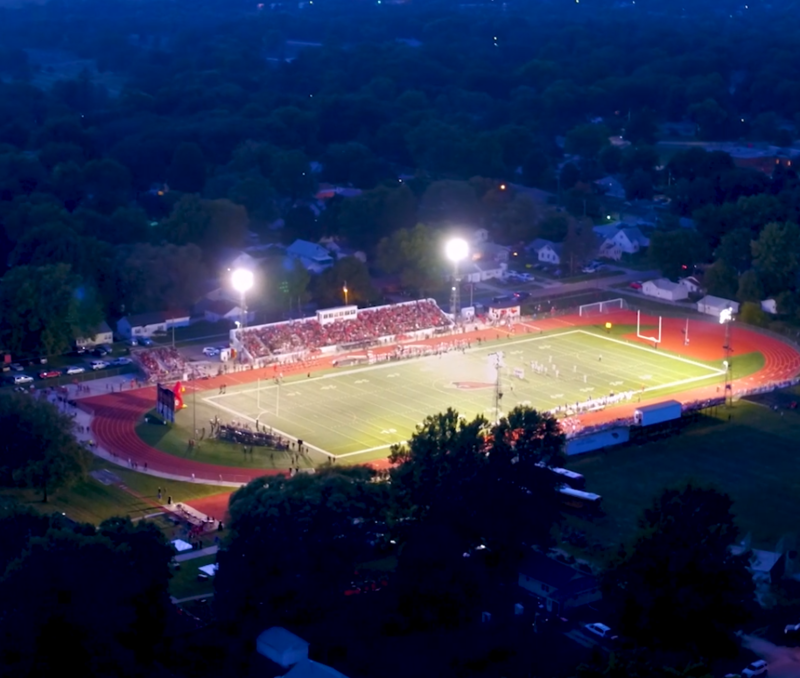 Our entire community feels the Red Pride we have for our schools, academic, athletic, and extracurricular teams. Newton also has post-secondary opportunities. Des Moines Area Community College, Newton Campus is a place for students of all ages to begin college, enhance their skills for career advancement, or prepare for a new career. DMACC achieves academic excellence through affordable tuition, helpful staff, and small class sizes. Buena Vista University offers classes at the DMACC Newton campus and online, allowing students to complete a bachelor’s degree in a variety of majors. Newton Senior High School students have the opportunity to ready themselves for college even further as we offer 70 collegiate-level credit courses. Newton’s entertainment & recreation options provide a plethora of activities and events for residents and visitors. From fast-paced action at the Iowa Speedway to concerts, swimming, and outdoor fun at Maytag Park, a relaxing walk through the beautiful serenity of the Newton Arboretum, shopping in our historic and charming downtown square to dog parks and bike trails — we have something for everyone. With organized recreation leagues and the Newton YMCA, there are also team activities for children and adults. Enjoy a visit to the world-renown Maytag Dairy Farms, and pay a visit to some great annual events that attract visitors from far and wide, like Newton Fest, a celebration of blues during Bowlful of Blues or the Iowa Sculpture Festival. When is the last time you asked yourself about quality of life in a town you live in, or someday will? Newton thrives in delivering a great quality of life for our residents. Aside from the entertainment and aspects that make our unique community stand out, Newton is a town that boasts it's neighborly affections. Newton has several large employers with a solid workbase and regular openings for employment including Thombert, Graphic Packaging, TPI Composites, Trinity, and Skiff Medical Center; but we also support a number of independently owned businesses and operations. The fabric 'community' is felt throughout Newton from the famer's market to soccer games to a friendly wave from your neighbor. Newton is only 30 minutes from Des Moines - close enough for convenience, but just far enough way to make you appreciate a smaller, more connected life. You'll love getting to know Newton! This link to the City of Newton website is a great resource for frequently asked questions of our residents!